The Jumping Man Thanks to Matty from the Jumpman Lounge for sending me a cool Jumpman mug. It will make a great addition to my collection of retro things. 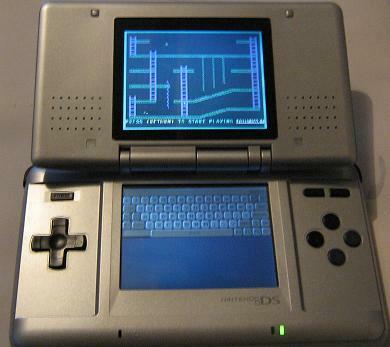 Below are some pics of Jumpman running on a C64 emulator for Nintendo DS. 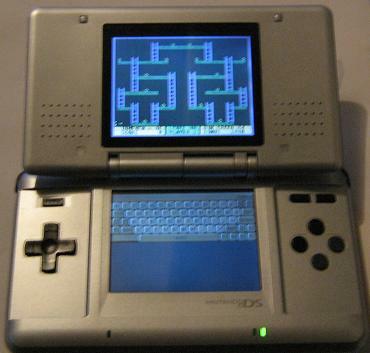 It is not full speed and the screen had to be scaled down slightly to fit the DS resolution but it is still very playable. 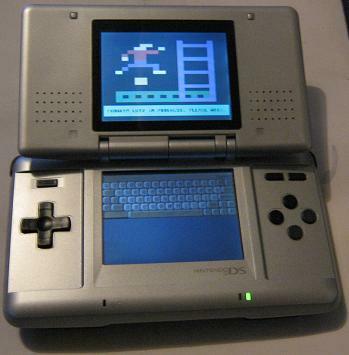 Download congoblase's version of FrodoDS and jumpman.d64 here (It is a newer version than shown in these pics). 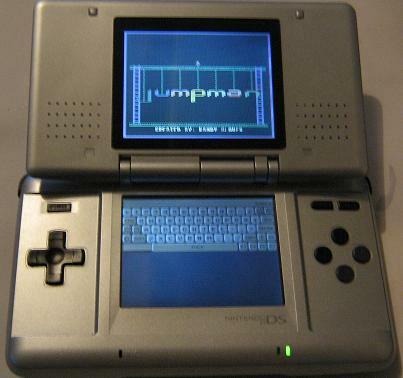 Here's a pic of Jumpman running on a C64 emulator for PSP. Sound is perfect and game runs full speed. Screen is stretched to fit the widescreen but the emulator supports 4:3 aswell. Jumpman works fine on both c64psp (FrodoPSP) and PSPVice.